On February 12, the Washington Supreme Court issued its decision in Cornelius vs. Department of Ecology and Washington State University. Scott Cornelius, along with the Palouse Water Conservation Network and Sierra Club Palouse Group, challenged WSU’s water rights because of the foot-per-year decline in the sole-source aquifer that serves the community, and WSU’s decision to build and irrigate a golf course notwithstanding the disappearing groundwater. In a 6-3 split, the court affirmed Ecology’s approval of the WSU water right and rejected all of the Cornelius claims. CELP will report in detail on this case next month but, in a nutshell, the decision upholds the Municipal Water Law, finding that WSU’s unused community domestic water rights did not relinquish prior to adoption of the 2003 municipal water law. Despite not using its water rights for more than 50 years, the court found that WSU has been “reasonably diligent” in putting its water to use. The court also ruled that the requirement to maintain a “safe, sustaining yield” of groundwater (ie, to avoid groundwater mining) is intended only to protect senior water right holders, not junior users or the public. A history of the disappearing groundwater saga can be found at the PWCN website. In the summer and fall of 2014, four intrepid adventurers paddled 1,240 miles upstream on the Columbia River from Astoria, Oregon to Canal Flats, B.C. via hand-hewn dugout canoes. The paddlers have released a new film that examines the potential for salmon restoration in the Upper Columbia through the lens of their journey. The 35-minute movie, Treaty Talks: Paddling Up the Columbia River for People and Salmon, takes the viewer up the river and into the lives of the Spokane and Colville Tribes kids who carved the dugout canoes, along with many others who dream about and are dedicated to return of the salmon to both U.S. rivers (such as the Spokane and San Poil) and British Columbia. The Columbia Canoe Journey was sponsored by Voyages of Rediscovery, and is an inspiring and beautiful film. The movie is sponsored by Upper Columbia United Tribes, a consortium of five tribes in the Upper Columbia basin that serves to protect and restore the natural resources of those tribes – covering 2 million acres and lands and waters located within the states of Washington and Idaho. Upper Columbia United Tribes (also known as UCUT) has been instrumental in promoting discussion about salmon reintroduction above Chief Joseph and Grand Coulee dams. UCUT has now released for public comment the Phase 1 Plan for Upper Columbia Basin Fish Passage and Reintroduction Project. Comments on the plan are welcome and due to UCUT on February 27, 2015. UCUT’s Phase 1 Plan follows on the NW Power & Conservation Council’s October 2014 adoption of the Columbia Basin Fish & Wildlife Program. The NWPC program calls for a phased approach to study and implement reintroduction of anadromous fish (salmon, steelhead, eels and other species) to areas where fish migrated historically, but which are now blocked due to dams and other passage barriers. Whatcom County routinely issues land use permits in areas where Nooksack River instream flows are not met and water quality problems persist. When the County adopted land use regulations that failed to address these water problems, citizen Eric Hirst and Futurewise challenged them as inconsistent with the Growth Management Act (GMA) and the 2011 Supreme Court decision in Kittitas County v. EWGMHB. The GMA Hearings Board affirmed, but on February 23, the Court of Appeals reversed the Board in Whatcom County v. Hirst, finding that, as long as county land use regulations are “consistent” with Ecology’s instream flow rules, counties need not control permit exempt water use to protect water resources. In a ruling eligible for the Judicial Circularity Hall of Fame, the court held that because Ecology did not address permit exempt groundwater use in the Nooksack rule, therefore county GMA regulations are not inconsistent if they also do not address permit exempt uses. The unsustainable use of exempt wells, which are harming Whatcom County waterways, was not addressed by the court. The court’s reasoning is based in part on Ecology’s “friend of the court” brief which, astonishingly, fails to discuss the legal precedents previously won by the agency and its director, former AAG Maia Bellon. Of particular interest is the court’s fracturing of the hydraulic continuity rules (requiring integrated management of ground and surface waters) set forth in the 2000 Postema v. PCHB decision. CELP filed a friend of the court brief, pointing out basic rules of water law such as “first in time first in right” and that exempt wells are no longer de minimis uses. Washington water chaos will continue and worsen, thanks to the failure of the Department of Ecology, and the courts, to recognize that water is a finite, but infinitely valuable, public resource. About Dr. Allan Scholz: fisheries scientist and professor at Eastern Washington University in Cheney, WA, Dr. Scholz is a pivotal and historic figure in restoring fisheries in the Upper Columbia River region. As a young man doing fisheries research, Allan Scholz helped carry out the basic research to determine how adult salmon return reliably to natal streams to spawn, how young salmon know when to migrate to the ocean and then adjust from freshwater to saltwater. 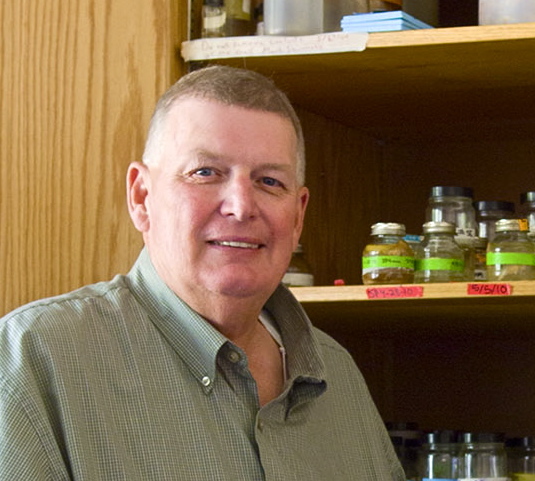 Many of the fishery biologists in Columbia Basin were trained by Dr. Scholz at Eastern Washington University. His work was also foundational for the establishment of an institution at the forefront of restoring salmon above Grand Coulee Dam: Upper Columbia United Tribes. Dr. Scholz also has been involved with restoring sturgeon on the Kootenai and Columbia Rivers as well as other resident fisheries. About the Spicer sisters, Crystal and Janet: the dam-building era in the Columbia Basin forced thousands of people from their homes, permanently flooding river valleys to provide floodplain real-estate protection mostly for Portland, Oregon. Impacts of dams and reservoirs on people – indigenous and non-indigenous – and wildlife were devastating. As a result of the Treaty dams, 2300 people were flooded from their homes, many at Arrow Lakes. The Spicer family struggled with the aftermath of the Treaty decisions near Nakusp, BC. 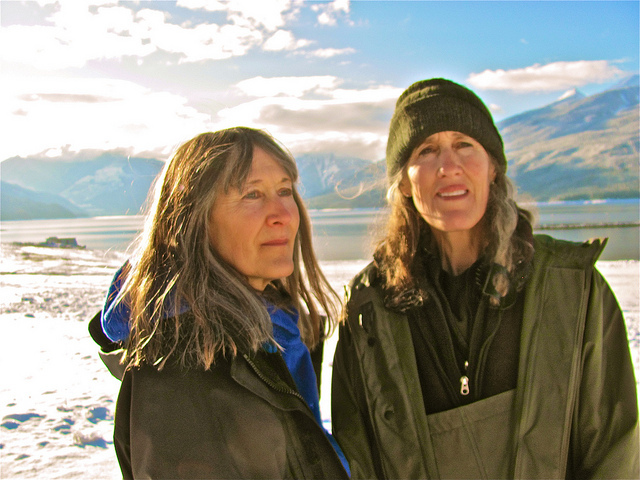 After watching the struggles of their parents to hold onto their family home and farm, these two sisters, Crystal and Janet, motivated and oversaw the formation of the Columbia Basin Revitalization Coalition to seek changes in the Columbia River Treaty to protect and restore the Upper Columbia River. At the heart of their advocacy are the “non-human” elements of the upper basin — the river, the fish and animal species, the plants, trees, songbirds, insects . . . all deeply impacted by the storage reservoirs. (1) Returning salmon home to the Upper Columbia. Feb. 27 is the close of the public comment period in the United States for Phase 1 of a proposal by Upper Columbia United Tribes to return salmon above Grand Coulee Dam to the Upper Columbia. The United States, with Canada’s approval, built the massive Grand Coulee dam without fish ladders — blocking millions of salmon that returned each year to vast spawning areas in both nations – salmon that had sustained indigenous people from time immemorial. (2) Modernizing the Columbia River Treaty. Canada and the United States are actively discussing efforts to modernize the Columbia River Treaty. Within the Basin, public support is growing to add “ecosystem function” as a third treaty purpose co-equal with hydropower generation and flood risk management. In a time of climate change and melting glaciers, the goal is for Canada and the United States to manage the Columbia River as “one river” and less as a machine. This includes restoring flooded valleys of interior B.C., and providing safe passage for salmon and other fish now blocked by dams so they can return home to Canadian waters. (3) Sinixt Nation, Arrow Lakes. The award presentation for the Spicer sisters will be made by Virgil Seymour of the Sinixt Nation. The Sinixt Nation, historically centered in the Arrow Lakes reach of the Columbia River, was declared extinct by Canada during Treaty negotiations with the U.S. in the 1950s, clearing the way to build the dam that flooded the Arrow Lakes valley. Water is a hot issue in the legislature this year, and CELP is currently working on a several bills. The majority of them are focused on the Skagit River instream flow rule, some seeking repeal or amendment, others seeking productive solutions in water short areas. In November 2014 The Washington Realtors, Building Industry Association, and Farm Bureau filed a petition with Ecology, calling for a repeal of the original Skagit River instream flow rule. CELP opposed the repeal because it was inconsistent with the 2013 Swinomish Tribal Community v. State of Washington Supreme Court decision. Instream flow rules have been an issue in Skagit County for decades. The original rule, set in place by Ecology, does not allow unmitigated new domestic wells. In 2005, Skagit Valley sued to overturn the rule, at which point Ecology adopted an amendment that created “water reserves” in tributaries. Two years ago, Swinomish Indian Tribe successfully challenged this amendment, and the original rule was reinstated. SB 5129 states that domestic water supply should be an “overriding consideration of public interest.” This bill will create a “super priority” for domestic wells, and Department of Ecology will have to allow their use, even if that means reducing water supplies for existing water rights holders and instream flows. This patchwork solution does not address the larger issues we face, including diminishing water supplies due to over-appropriation, and climate change. SB 5136 would lead to Ecology’s repeal of the Skagit Instream Flow Rule. This undermines all the work that has been previously done to protect salmon in the Skagit River. Again, this bill is a patchwork solution, and will inhibit progress towards sustainable water allocation. SB 5407 would allow uninterrupted use of exempt wells in Skagit Valley. The bill presumes that these domestic wells have no impact on instream flows. The current system requires new users to demonstrate that their well will not harm existing water right users. This bill would shift the burden to Ecology to prove that a single well is having a negative impact on instream flow levels, before they can limit any withdrawals. This bill also disregards the cumulative impacts unlimited withdrawals of new and existing wells may have on instream flows. CELP will work with our water allies to stop these bills. SB 5965 directs Ecology to study mitigation for permit-exempt wells, including out of kind mitigation. CELP does not oppose the study, but wants clarity that out of kind mitigation cannot serve as a bargaining chip in exchange for water withdrawals. SB 5018 would waive the anti-degradation requirement of groundwater quality standards for aquifer storage and recovery projects. The anti-degradation law is an important catch-all to address pollutants that are not covered by federal drinking water standards. Also, the bill’s requirement to “protect aquatic resources” is vague and should be strengthened to ensure that all biotic communities are protected. HB 1793 works within the framework of existing instream flow rules to provide property owners, located in areas of limited access to legal water withdrawals, the tools for alternative water procurement. CELP supports this bill, because it presents a balanced approach to water allocation that is beneficial for both humans and fish. Most importantly, it proposes alternative solutions in Skagit Valley, where water resources are under stress. SB 5014 outlines best practices for water banking. Water banking has proved to be a sustainable alternative water resource for homeowners living in areas with limited water resources, including Kittitas County. The legislature should promote this important water supply alternative. Fifteen year after starting the process, Ecology has finally adopted a new rule for the Spokane River. The rule establishes instream flows that rank among the lowest ever adopted for a Washington state river. These flows will fail to protect fish, recreation, aesthetics and water quality and generally destroy public values in the affected reach of the river. For more background, see our December 2014 Water Watch. The adopted flows, 850 cubic feet per second (cfs) in summer months, 1250 cfs during fall and winter, and a spring runoff flow of 6500 cfs, are lower than what naturally occurs in the river almost every year. The illustration at right compares the rule-based flows (red line) with actual median flows (blue line) for the Spokane River. The amount of water now flowing in the Spokane River is already severely depressed, representing only half of historic flows – thanks to the half-million people using Spokane Aquifer groundwater that directly depletes the river. Notably, per capita water use in the Spokane region is some of the highest in the state. Ecology justifies its extreme low flow rule with scientific studies that compare river flows with fish habitat (known as “IFIM” studies). The use of this scientific method is questionable, given that Redband Trout are thriving now. Will pushing summertime flows down to 850 cfs really be better for fish? The Washington Department of Fish & Wildlife thinks not, and when asked has agreed that the 850 cfs summertime flow is not optimal, and that the fish would do fine (if not better) with higher flows. The IFIM method used to evaluate flows is not well suited to rivers as big as the Spokane. The Spokane approach actually violates the state’s official policy to protect higher flows, as has been done with instream flow rules for west-side rivers such as the Dungeness, Skagit and others. By relying solely on fish studies to choose instream flow numbers, Ecology ignored the Spokane’s popular recreational use. Thousands of people raft, paddle and float the river during summer months. The 850 cfs flow will not protect these uses. As one whitewater rafter noted, “I don’t go into the river below 1,000 cfs because it damages my boat.” Although Ecology received 2,000 comments, including from recreational river users, whitewater groups, and businesses that serve paddlers and fly fishers, the public’s request to protect higher flows went unheard. Ecology also ignored the value of higher flows in protecting scenic beauty in the Spokane Gorge. Why would Ecology ignore these uses, which Washington law explicitly protects? The answer involves water rights – all water above the red line in the graph is now available to be allocated to out-of-stream uses. Ecology is betting that 850 cfs is a number that can be met most years (a good bet), and that it can issue new water rights that will be infrequently interrupted or easily mitigated. In addition, the Office of the Columbia River (OCR) proposes to transfer water from North Idaho to the Columbia Basin – intercepting groundwater that would otherwise supply Spokane River flows. The details have yet to be worked out, but adopting an extreme low flow enables OCR to bypass the Spokane River and divert water directly to its primary client, corporate agriculture. Also at issue are the interstate implications of the new rule. Idaho has issued 900 water rights in the last 15 years, authorizing nearly 200 cfs in water withdrawals that deplete Spokane River flows in Washington. Rather than stand up for its interest in these interstate waters, Washington State has flatly ignored the problem – perhaps because Washington is itself a guilty party, and continues to appropriate water from the Columbia River, to the detriment of Idaho and Oregon. The Spokane River rule illustrates the problems with putting Washington’s water right allocation program in charge of protecting rivers. Ecology’s Water Resources Program is obsessively focused on delivering water rights to out-of-stream users, regardless of impacts to rivers and aquifers. 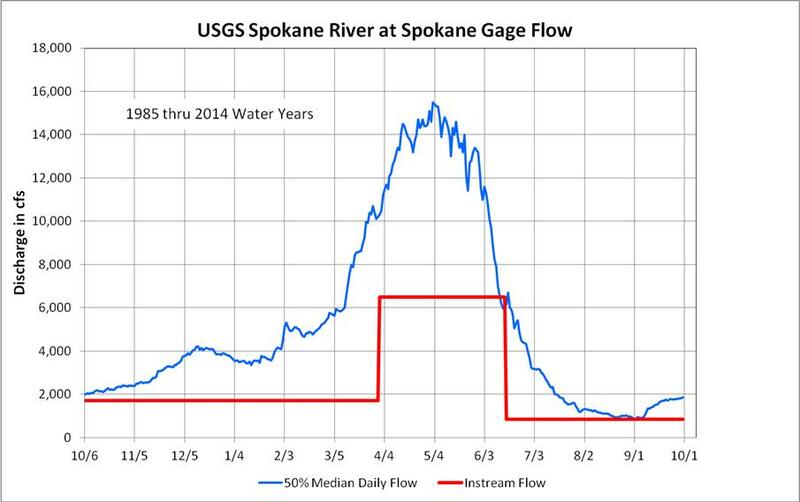 The Spokane River is the latest, but undoubtedly not the last, casualty of this policy. Alpine Lakes Wilderness – Are New Dams & Water Diversions in the Offing? CELP participates in the Icicle Work Group, a collaborative process seeking to find new water supply for the City of Leavenworth, as well as improve instream flows in Icicle Creek and other goals. The IWG is evaluating a number of proposals, including increasing storage and water diversions from seven lakes in the Enchantment Lakes region of the Alpine Lakes Wilderness. 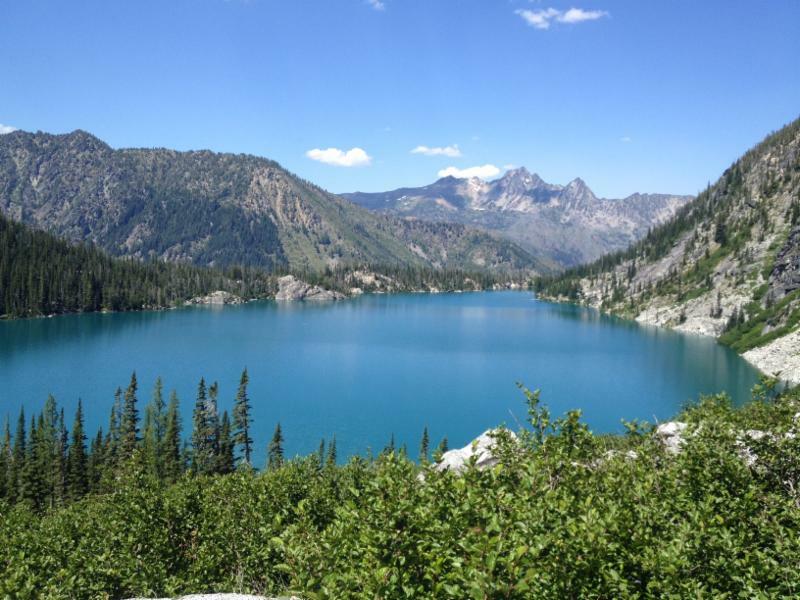 CELP policy advisor Rachael Osborn has posted a four-part series describing the Alpine Lakes proposals on her Naiads blog. More information can also be found on the Chelan County Natural Resources Department website. Chelan County co-sponsors the IWG along with the Department of Ecology’s Office of the Columbia River. Is draining the Alpine Lakes the only way to provide water for the City of Leavenworth?